Mr. Wang Feng Was Invited to the Inauguration of Serbian President | Linglong Americas, Inc.
On June 23rd, Serbian new president Mr. Aleksandar Vučić’s inauguration ceremony was held in Belgrade, Mr. Wang Feng, chairman and president of Linglong Tire, attended the inauguration ceremony. 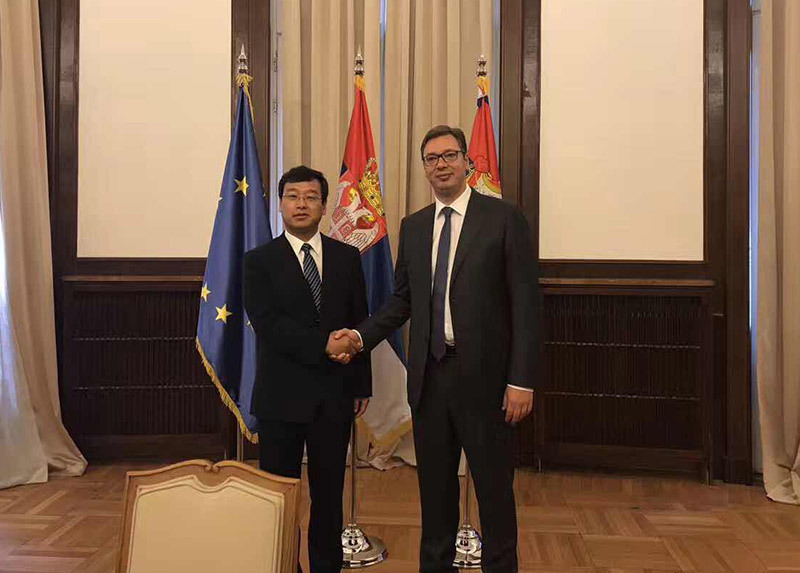 On the afternoon of June 23rd, Mr. Wang Feng and representatives from Serbian president staff office, Serbian development office, and Serbian development bureau gathered to discuss on the prospects and opportunities of building One Belt and A Road, mainly concentrating on the problems like land, transportation, tax policy, and labor visa. Serbia is now the world's second largest investment destination with a history of over 70 years in automobile manufacturing industry, which is the most important industry in Serbia. For Linglong, it has the obvious industrial cluster effect. Currently, many European countries have made acquisition offers to Linglong Tire. Probably, the answer to Linglong’s second overseas plant in Europe will be clear in the near future.